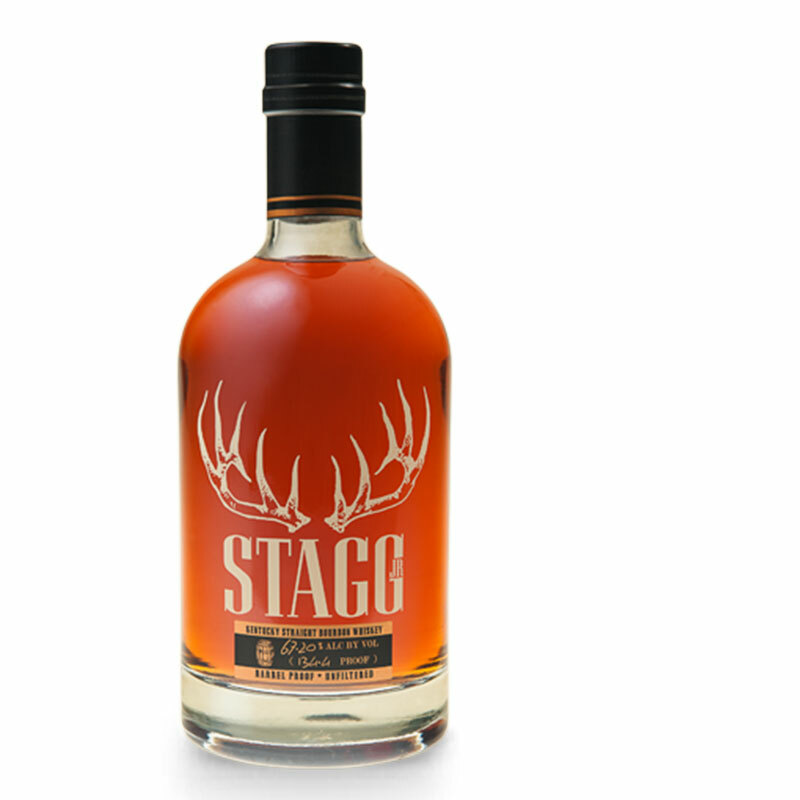 Like most namesake bourbons, Stagg has a fascinating back story. George Stagg (born 1835) was a Kentucky native and whiskey salesman way back after the Civil War. Apparently, he was pretty good at what he did, because he was able to buy Colonel Taylor’s Old Fire Copper Distillery by 1878.
n 1904 Stagg slapped his name on the distillery, and his name would stay there until 1992 when the distillery was bought and re-named Buffalo Trace Distillery (tada!). During his tenure, George Stagg came across the likes of Albert Blanton, Dr. Pepper, and Dr. James Crow – a whos who of the early bourbon world! These tasting notes are for Stagg Jr, which is a whole different bourbon from its daddy – George T. Stagg Bourbon . We will be doing a whole different review on that later on. Unlike its daddy, Stagg Jr. has a subtle nose that will take some work to appreciate. After letting it open up you will get some aloe on the nose, and the usual vanilla and honey. I noticed some fruit on the nose but cant pinpoint it. Cherry? Lets say cherry. The first sip sent me to another world. Stagg Jr. is warm and syrupy. It coats your tongue like melted butterscotch and goes down surprisingly smooth. There are peppery rye, sweet butterscotch, and red apple flavors up front, along with predictable alcohol if you are trying this neat. A few drops of water or a nice ice sphere is perfect if you want to unlock all the complex flavors this bourbon has to offer. Cloves and pepper, brown sugar and smoke, apple and butter all make Stagg Jr. both interesting and rewarding. There is a reason why Stagg Jr. won the Gold Medal at this year’s International Wine & Spirits Competition! Stagg Jr. will make your jowls quiver. In a good way. That’s why I confidently give Stagg Jr. an A+. At about $50 a fifth, its worth every penny. This is a slow sipper that will take you all winter to finish. If you doubt my palate, you can find this at a decent bourbon bar for around $14 a pour. This is a high proof bourbon, so drinking it with a few ice cubes is perfectly fine. But if you try to mix this, the ghost of George might visit you with some choice words. If you enjoyed this article, keep the conversation going! Leave your own bourbon reviews and tell us what you think by clicking the button below. Stagg Jr. is my favorite high proof bourbon , if I can’t get the real Stagg. It is a true “sipping bourbon.” It is becoming harder to find here on Long Island but worth the search. Given it’s price point , I agree wholeheartedly with the A+ rating! I can’t wait to read your review of George T Stagg! I liked this one, but perhaps was expecting too much? It had an off putting oak astringency to it that I was not a fan of. I’ve tried different levels of dilution to help, but so far have been unsuccessful. It’s a shame because I get some great flavors in this one. Caramel, vanilla, cinnamon, dried apple, and a splash brings some dark chocolate to the party. This bottle will probably last me awhile as I think I prefer OGD114 as an overproofed everyday sipper.